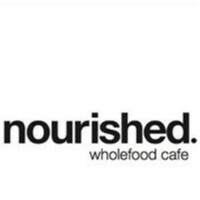 Naurished Wholefood Cafe joined our Mission to help provide access to “Clean Water for All by 2030”. This Mission was initiated by the United Nations. A big thank you to Naurished Wholefood Cafe’s team and customers for joining this extremely important mission on 27 April 2018. Our name reflects our inspiration, our menu reflects our passion. We proudly hand craft all our dishes right here, using locally sourced sustainable ingredients where possible, so we know what goes into each and every recipe. Life should be all about balance and we celebrate this in a menu that provides for a broad range of dietary needs, including our guests with none. Our food is more than just a pretty plate. Its real. Its nourishing. Its simple. Its wholefood. Proud partners with Campos Coffee, Coowhip and Ovvio Organics Tea.